Flying Higher than Ever Before. "Volunteerism Gives A Special Meaning To Life"
Adopt-A-Family is making a difference. Stacey Jennings is a busy mom of three and volunteer extraordinaire. She coordinates the Food & Friends morning meal program at Minto-Clifford Public School in Harriston, volunteering every school day to bring healthy food to hungry minds. Stacey works tirelessly to complete all the menu planning, grocery shopping, food-prep, and clean-up for 450 students every day of the week. What’s even more impressive is that she offers this freshly prepared and healthy morning meal to every student, all on her own! Stacey ensures that all students are offered three different food-group items each day, to help fuel their brains so that they can better focus on their day of learning. We are so grateful for Stacey and all the work that she puts into this awesome student nutrition program at Minto-Clifford School. That’s why we want to take this time to give her a huge Children’s Foundation ‘shout-out’ for being such an amazing and valuable volunteer. This program would not exist without her! Volunteer, Friend, Grandma, Dog Lover, Nature Enthusiast, Golfer, Chef, Hostess Extraordinaire - sounds like a pretty amazing woman! Introducing Claire Jackson. Claire first came to the Children’s Foundation nine years ago through the Adopt-A-Family program. She was working part-time and filled her spare time with volunteer commitments. She eventually gave up her paid job and devoted her time to volunteering with the Adopt-A-Family program, ensuring children in Guelph have a special Christmas. Claire has been involved with many community organizations over the years, including Women in Crisis. She was on their Board of Directors when Marianne’s place was being built. Marianne’s Place is an emergency shelter for women in Guelph trying to escape violence, and Claire continues to be an advocate and voice for women in need of this kind of support. When speaking with Claire about volunteering and the difference it can make, she shared that she is humbled and often brought to tears when she hears of the struggles and adversity some families are facing. “Knowing that I can help ease that burden and make things a little better, even if it’s for a short time, puts a smile on my face and brings me joy.” Because of Claire, thousands of children undoubtedly also have smiles on their faces and joy in their hearts. Claire’s giving nature doesn’t stop at Christmas time. She joins the Children’s Foundation office team on a regular basis throughout the year, helping staff with various accounting tasks, database work, and a number of other administrative tasks. Outside of the office, Claire promotes the organization and programs everywhere she goes. She has recruited six of her friends who now also volunteer with Adopt -A-Family. We feel honored to work alongside this caring, funny, dedicated volunteer and feel privileged to be named as part of her family. Thank you so much Claire for all that you do at Christmastime and all year long. The staff at the Children’s Foundation know all too well how important volunteerism is. The programs and events at the foundation just would not be possible without support from the outstanding volunteers who donate their time. It is interesting to know, however, that the reach of this terrifying team goes far beyond the programs offered through the Children’s Foundation. Some of the other community organizations that benefit from the care and compassion of this creepy crew include: Family and Children Services, Guelph-Wellington Women in Crisis, the Rotary Club, Food4Kids, The Girl Guides, Vanier Center for Women, Guelph Regals Lacrosse and more. On top of their external community outreach, all of the staff and most of their families volunteer for the Children's Foundation as well - now that's dedication to community! These ghostly gals have many reasons for giving back: some include building your social circle, helping someone do something better, building stronger bonds between community organizations, trying new things, increasing skills, sharing talents and other valuable reasons. The Executive Director of the Children’s Foundation, Glenna Banda, was so impacted by her volunteer work that she chose to change careers and is now leading the great organization she once volunteered for. Donor Relations Manager, Emilie Mossman, volunteered for an organization in which she accompanied people to appointments. She said she was able to help people feel brave and let them know that they have someone on their team. Administrative and Outreach Support Coordinator, Brenda Walsh, started volunteering to give back to those in need and ended up receiving more than she gave. On the whole, the staff at the Children's Foundation feels volunteering puts words like “I care” into action, and this Tricky Team really cares about their community! Kate Bryan is a very dedicated volunteer of the Food & Friends Program who enhances the excellent work of the Children's Foundation. She is invaluable to the Foundation as well as to the community in which she serves. Four years ago Kate was asked to take over the role of Student Nutrition Program Coordinator for the Food & Friends breakfast program at Laurelwoods Elementary School near Orangeville, Dufferin County. The program had been operating two mornings a week in the past, but Kate quickly rallied some parent volunteers, and together, they developed a five morning a week program. Kate and her team provide a nutritious breakfast for 20-60 students every day. Kate feels that the impact she's had on the program is multi-faceted. She's providing nutritious food so that students can focus and learn, she's providing attention and positive feedback on a one-to-one basis during breakfast and she's "putting a smile on the children's faces" leading to a good start to the day. Not everyone recognizes the level of poverty in their own community. Kate feels that people may often think that poverty is a result of unemployment, but in reality it’s also families who may be suffering from physical or mental health problems. If parents aren't well, they can't take care of their children to the extent that might be necessary to maintain good health. Kate is such an awesome person that she not only volunteers her time with us, but she also volunteers with Hospice Dufferin as a member of their board of directors. She is a true community champion! We are so grateful to have Kate as one of our volunteers. The only way to know how far you will go in life is to spread your wings and SOAR! The Southern Ontario Amazing Race (SOAR) is Ontario’s Longest Running Adventure Race fundraiser. It is a 3rd party fundraising event to support the Children’s Foundation of Guelph and Wellington. The event raises between $70,000 - $80,000 a year, and in 2018 a milestone was reached when the 20 teams of two raised $72,829, bringing SOAR’s 15-year total funds raised to $1,009,848. Without events like SOAR, the Foundation would not be able to continue to offer its programs and services to the community. The race Directors are a key part of the volunteer team that is responsible for organizing this hugely successful and popular event. We recently caught up with a few of these dynamic volunteers and they shared some thoughts about what the race means to them. Scott Hammond is in his fifth year as a volunteer with SOAR. He first became involved with the Children's Foundation of Guelph and Wellington through meeting Glenna Banda and his volunteer work with his Kiwanis Club of Guelph. He was ready for a new volunteer opportunity and signed up to help with SOAR. In his first year he played the role of videographer and photographer. Scott was hooked and joined the team of race Directors the following year. His main role now involves using his marketing skills to help create marketing collateral as and publishing race content. Laura’s co-coordinator, Emily Boms, joined the SOAR team 15 years ago when she was living in Ontario. She has since moved to California but thanks to the miracle of technology she has been able to remain in her role, despite the fact that she is so far away. Together Laura and Emily assign various volunteer roles and communicate with volunteers to confirm availability. “Just before the race we hold a volunteer orientation," Laura notes, "then during the race, I circulate around to challenges ensuring that our volunteers have everything they need. We have a fantastic volunteer group, many of whom come back year after year. I work hard to make sure their experience is enjoyable as they keep the race moving along." Laura loves the race and everything it encompasses. "There are times when life can feel overwhelming: going to work, looking after a family, renovating a house, spending time with friends and family. Adding the Race on top of that makes for a busy life and yet those of us who do it come back year after year, because there is something really special about it. It is a combination of great people, fun and challenging work, and a really worthy cause. By the end of Race weekend we are all exhausted but riding a high at what we've accomplished. It's pretty magical." April Plecke became a volunteer Race Director last year, but has been volunteering with the event for many years. She first got involved with SOAR as a volunteer, and then she and her sister decided to take on the race as a racing duo! April is one of the many volunteers who have had a huge impact on the success of the event. She has worked as a Director over the past year diligently researching, planning and organizing every intricate detail that goes into this complex event. She acknowledges that, “It’s a huge time commitment and a lot of work, but I love all of the amazing people I get to meet, the friendships we make and how much fun we have planning the race.” This is where April's dedication to the race comes from and the cause behind it really pushes her to SOAR. April estimates that she puts in about 30+ hours a month, and even more as the race date approaches. She is no stranger to fundraising for charities. Prior to joining the SOAR volunteer team she worked as a fundraiser for the MS society, which is another charity that is very close to her heart. On behalf of the Children’s Foundation of Guelph and Wellington and the children we serve, we would like to send many thanks out to Scott, Laura, Emily, April and all the Race Directors for their boundless commitment to the Southern Ontario Amazing Race. This race simply would not be possible without you! Teresa has always been passionate about helping people, but about 12 years ago her passion turned toward children while serving as the chair of the Parent/Teachers Association at St. John Catholic School. It was here where it came to her attention that her children were sharing their lunch at school with some students who didn't have one. On one occasion, a male teacher came out of his classroom crying as he told her that one of his students didn't make a lunch because there wasn't any food in the fridge. Teresa decided to take further action and help make a difference in the community by growing and advocating for the Food & Friends program. This helped ensure no children would ever go without a lunch or healthy snack during the day. Teresa has shown her dedication and commitment to the children in this community by serving on the Board of Directors for the Children’s Foundation for an incredible six years. Teresa will now finish her final term and move on to new and exciting things, however she is excited to see what new initiatives and fresh perspectives new Board Members will bring to the Children's Foundation. Through Teresa’s work with raising funds for the Food & Friends program, as well as her work on the board, she has helped shape our organization and touch many lives. Notably, she helped differentiate the Children’s Foundation from other organizations through unique branding (a new logo), exceptional public relations, and strong program management. Although her Board term is done, she looks forward to continuing her efforts in spreading the word and acting as an advocate for the foundation, just in a different capacity. Glenna Banda says this of the impact that Teresa has had on the Board and on the Children's Foundation. "Teresa has brought a tremendous amount of compassion and enthusiasm to our Board. She not only has a vision of a brighter future for local children, but she is also willing to roll up her sleeves and do what needs to be done to make it happen. This commitment is contagious as everyone around the Board table and outside of the organization who gets the opportunity to hear Teresa share her passion can't help but want to be part of the Children’s Foundation and the work we do. She is a cheerleader, hard worker, very generous, and we are extremely grateful for everything she has done." At first glance, Children’s Foundation volunteers would be seen giving their time at our events, at various schools helping to serve meals, in our office doing day-to-day tasks, or speaking on our behalf in the community. What you might not see are the volunteers who also work behind the scenes giving hours of their time for program development and planning. These volunteers have contirbutions that are often never seen and often don’t receive the recognition they deserve. We would like to take this opportunity to shine a light on two of those special volunteers. Ron Cowley is first and foremost a father, but he is also a retired school teacher, and an active volunteer in our community who selflessly gives of his time. Ron’s background in teaching has given him a skill set that has been invaluable to the development of our volunteer program. As most small non-profits know, having a full-time volunteer coordinator is often not an option when trying to maintain a tight budget. This at times can leave a gap in the formal development of volunteer programs as time simply doesn’t allow for it. “Volunteer management is a huge part of running a successful organization,” says Administrative and Outreach Coordinator Brenda Walsh. “It is just as important as soliciting donors for financial contributions”. Small organizations like the Children’s Foundation rely on the support of volunteers to make their mission a reality. Ron has made it possible for the Children’s Foundation to really focus on the foundation of our volunteer program including developing tools that will help enhance the quality of the program. Ron has made it possible for Brenda's “someday plans” to become a reality. Ron’s work at the Children’s Foundation began with the development of our volunteer manual, and he has also helped with writing volunteer positions, policies and procedures. But his work doesn't end there. Ron attends each of our events with his ”volunteer management hat” on. He collects information and watches processes to see what can be done in a faster, easier, or more efficient way in the future. He attends debrief meetings where his findings begin the process towards possible solutions. Ron feels that it is imperative that feedback from volunteers be recognized and addressed in the most appropriate way, leading to improvement and better processes in the end. He is, in many ways, the voice of our volunteers. Ron is very quick to talk about the ways he benefits from his volunteer involvement. One of Ron’s personal goals is putting his skills to use. He is driven by making improvements or finding ways to “fix things”. Ron feels that he benefits from the relationships he has developed with the staff and volunteers at the Foundation, and he says it is the people that he works with that make it fulfilling for him. His volunteer role at the Children’s Foundation is helping him reach some of his personal goals while supporting a worthwhile organization. “If I can make it easier and more enjoyable and fulfilling for the volunteers, through listening, evaluating and making improvements, then I'm happy." The Children’s Foundation needs volunteers like Ron who recognize the importance of volunteerism. What better way to recognize Ron’s work on our volunteer program than during National Volunteer Week! Thank you Ron for brightening the futures of so many children, one volunteer at a time! Jessie Watt is recently retired and has turned her skills and attention to volunteering, as she was looking to find meaningful ways to get out into the community and meet people. She is an adventurous, outgoing person who loves people. She gets excited when she embarks on new challenges and projects, and she isn’t afraid to build her world in a way that she feels it looks most beautiful. Jessie first came to the Children’s Foundation three years ago, and she was unsure of what her volunteerism would look like when she first applied. Jessie has sampled many different roles in her years with the Foundation including volunteering at the Around the World Gala, Fore our Kids Golf Tournament, and Live Free breakfast. Jessie has also joined a Food & Friends team serving nutritious meals to kids in a local school, and has volunteered as an office assistant doing various administrative tasks. It seems most appropriate as we celebrate National Volunteer Week to recognize Jessie’s contribution, as her volunteerism recently has been in a supporting role for our volunteer program. Currently, one of Jessie’s roles includes collecting the stories of our volunteers. Jessie has been working hard to ensure that all of the volunteers who support the Children’s Foundation receive heartfelt recognition. Jessie has even received her PREB training, which is a program that focuses on the recognition of volunteers, as she feels that everyone needs to feel valued and appreciated. The Children’s Foundation is only one of the organizations fortunate enough to have Jessie’s support, as she also spends her time volunteering for the Guelph Humane Society providing foster homes to cats that have been surrendered, as well as with an organization that supports individuals doing court appointed probation. Jessie is drawn to the Children’s Foundation because she believes all children should receive the opportunity to develop to their full potential. She did however laugh a little as she explained why her volunteerism is selfish in some ways. She has a list of very specific, important things that she is looking to gain out of her volunteer experience, and when other people benefit from her volunteering, well that just seems like the icing on the cake. Jessie already feels she has gained skills in the Human Resource field, and has improved her own self-confidence. Simply stated, Jessie says “each person is responsible for their own development, positivity and happiness”. Jessie explained further, “the more time I spend volunteering, the more time I spend thinking of others, and I really like that volunteerism has affected me in this way”. She has now become a strong advocate for volunteerism, sharing with family and friends the many benefits. Jessie is a glowing example of a volunteer who not only talks the talk, she also walks the walk! Thank you Jessie, for all of your support! With busy lives, it can be hard to find time to volunteer. However, the benefits of volunteering are enormous to you, your family, and your community. Pam Wakefield has made her commitment to volunteerism a priority in her busy life. Pam loves volunteering for the Children’s Foundation because it makes her feel important and happy. Researchers have discovered by measuring hormones and brain activity, that being helpful to others delivers immense pleasure. Human beings are hard-wired to give to others. The more we give, the happier we feel. Pam also loves the variety in her work and the feeling of ownership as she has become an essential part of the team. She feels a renewed sense of self-worth, meaning, and social engagement. These things are extremely valuable to Pam, especially as she isn't currently working outside the home. Pam is also involved with Women in Crisis where she crochets blankets and donates them to women in need. Pam relies on a boot camp exercise class for the energy needed to do all that she does to support her family and her community, not to mention the numerous half marathons she competes in. Doing good for others and the community provides a natural sense of accomplishment. Your role as a volunteer can give you a sense of pride and identity. And the better you feel about yourself, the more likely you are to have a positive view of your life and the lives of others. Tara's volunteer service at Victoria Terrace Public School started as an Educational Assistant in a Grade 1 and 2 class when her two children were attending the school; she then became a Food & Friends Program Coordinator and has now been involved with the school's student nutrition program for five years. She also sits on the parent council and has organized several fundraisers for the school. Victoria Terrace holds a special place in Tara's heart as she herself attended the school; she considers Victoria Terrace a second home and the students there as her "children." Tara coordinates both the snack and the lunch program, creating menus and picking-up groceries on a weekly basis. She notes there are challenges, such as meeting dietary guidelines restrictions, but she faces it all with a smile and a dose of creativity, coming up with fun and tasty alternatives for the kids when certain foods, such as processed meats, are cut from the program. Tara explains that every student in the school is offered the morning snack but that lunch items are reserved for those who need them most. About 220 students access the program every day. The students who use the lunch program pick-up the food and return the containers when they're finished. Tara is supported by a group of students who help serve the food and bring back unused items. The food program not only provides nutritious food to students but also provides them with the opportunity to try new foods. In June of 2017, Tara was recognized with the Everyday Hero Award by the Upper Grand District School Board - a true measure of her value and contribution. She is a very active volunteer who attends the Children's Foundation appreciation events as well as networking meetings with the Food & Friends Program several times a year. Tara's volunteering has inspired both of her children to volunteer as well. Her daughter has completed over 200 hours of volunteer work, far exceeding her mandatory 40 hours of community service for high school graduation. Her son also helps out with the snack and lunch program when he can, even though he no longer attends the school. Tara stresses that the school is her "happy place;" the positive feedback from the students she supports on a daily basis makes her feel valued and appreciated. Through her dedication and commitment, Tara has changed the lives of children offering healthy nutrition, increased self-worth, a sense of responsibility and opportunities to help others. Tara looks at everything with optimism and grace and has become a strong role model for the students and staff at Vitoria Terrace and a highly-valued volunteer and community member! As we approach the busiest week of the year at the Adopt-A-Family site, we still have over 400 families' gifts to come in. It is easy to forget when we have our nose to the grindstone, just how hard everyone is working. We want to take a moment to recognize a wonderful and amazing group of volunteers.
" I have also had the joy of adopting a family-it's a reminder of what Christmas really is all about!" "We make a list and check it twice!" "I feel blessed to have been a very small part of this." "How many times can you fulfill a childhood dream of working in Santa's workshop?" "The organization required and set in place is astounding! To see and be a part of this is my Christmas miracle." wonderful feeling that on many levels we have helped spread happiness this Christmas season." Volunteer opportunities abound with the Children's Foundation Volunteer Program, and volunteers are treated as valued members of the organization with their own individual needs. Whether you're feeling socially isolated, want to hone up on your skills, want to learn new skills, or are looking to enhance your resume, there are opportunities for you to fulfill your goals and to feel supported along the way. September is often the month to start something new, and many volunteers are joining the various volunteer programs to not only change their lives, but to also enhance the lives of others! We are currently recruiting volunteers in the Food & Friends Program. These volunteers are bringing healthy food to hungry minds, by providing an atmosphere of social inclusion amongst students who may otherwise feel marginalized. Students have decreased disruptive behaviours in the classroom, learn healthy eating habits, and build strong social skills. Nicole, one of our fabulous Food & Friends volunteers, sums up her volunteer experience in the program this way. "My volunteer contributions are appreciated financially by parents in the community who might not be able to provide nutritious meals for their children due to their circumstances. Children who otherwise might not eat breakfast do better in class and in life in general when they receive a nutritious meal. I can see positive changes in a lot of students who are involved in the breakfast program and the volunteers have helped the kids develop their social skills through their involvement. " We are also looking for some special people to join our awesome team of volunteer elves, who rally together to help families in need for the Christmas season through our Adopt-A-Family Program. Cindy, one of our hardworking and valued volunteers says,“It’s the warm, fuzzy feeling that I get working on the program that keeps me coming back. My reward is seeing the outcome of all the hard work and so many families being supported over the holidays. That is the true meaning of Christmas to an Adopt-A-Family volunteer." If these opportunities are not what you were looking for, perhaps you would enjoy working behind-the-scenes for our organization. We are currently looking for people to help the already remarkable volunteers that assist us in the office. What would we do without our office support volunteers? They work relentlessly to keep the wheels turning smoothly by answering phones, greeting guests, taking messages, assisting with mail-outs, maintaining general office organization, and providing support for special events. These volunteers truly deserve our recognition! One of our office volunteers, Dawn, was looking to volunteer in an office position to both maintain her administrative skills as well as to learn new skills while looking for paid employment in her field. "The Children's Foundation helped me fund my children's soccer and camp fees and so I felt that volunteering with this organization would be my way of 'giving back' for the help. My volunteer work has put me in a happier frame of mind and provided me with a very positive environment to get involved with the bigger picture." Calling all volunteers who want to help out with special events! You can meet new people and have a unique experience. There are many opportunities available - SOAR, Around the World Gala, Inspiration, Rifest, Fore our Kids Golf Tournament, and Trees for Tots. There's something for everyone! Having equipment that would be of benefit to Trees for Tots, and a strong belief in volunteering for the community, he signed up as a volunteer and has been involved with Trees for Tots for the past three years. His wife, Kate, and eight-year-old daughter, Sophie, joined the team two years ago. As Mike says,"We look at it as an excellent family opportunity to contribute to a great cause and help local children." The support of our volunteers exemplifies the culmination of an investment in the health and future of our community, an investment in brighter futures. Without your support, we wouldn't be the strong and vibrant organization that we are and will continue to be in the future. From the bottom of our hearts, a huge thank-you to each and every one of our volunteers for your support, collaboration, dedication and contributions! Anu remembers when she first heard about the Children’s Foundation of Guelph and Wellington throughout the community. She remembers seeing its programs advertised in local newspapers and, with a heart for helping those in need, she was drawn to the organization. Food & Friends relies on volunteers like Anu to administer the programs within the schools; their dedicated time and support makes it possible for the Program to continue reaching the children that need it most, positively impacting the lives of local students by offering access to healthy nutrition. Currently, Anu sits on the Food & Friends Committee, representing Guelph student nutrition programs and working to improve program delivery. Impressed and moved by Food & Friends, Anu looked into the Foundation’s other programs, hopeful to become engaged in other areas of the organization. She quickly became a part of the Children’s Foundation team of elite volunteer leaders, the Sunshine Squad, advocating on behalf of the Foundation within the community and promoting its programs at community events. She also volunteers at the Foundation’s own events including the annual Around the World Gala, Fore Our Kids Golf Tournament, Trees for Tots and many third party events. No matter where the need, Anu is always willing to help with a kind smile and a generous heart, exemplifying the giving characteristics of a volunteer. Anu says her role as a Children’s Foundation volunteer has been a humbling experience, allowing her to give back to the community in a meaningful and impactful way. It has helped her grow personally, developing a new understanding of people’s needs, right in her own community. Anu feels the Children’s Foundation is making Guelph a better place to live, and she is so happy to be a part of it. The Food for Thought Breakfast Program started in 1999, when the principal at the time noticed that students were going into the cafeteria looking for food that was a day old or going to be discarded. The Guelph Collegiate Vocational Institute staff members realized there was a real need as students did not seem to have enough food in their lunch or get them through the day. The need was met by the breakfast program, serving students five days a week from 7:30-8:30 a.m. out of the kitchen at St. James Church, located across the road from the school. Grace and Mark Evans coordinate the program and its volunteers, managing grocery shopping, menu planning, safe food handling, food preparation and proper clean-up. This coordinated effort ensures each student has access to nutritious food to start their school day. Grace and Mark also help fundraise for the program and make sure all receipts are balanced and handed in to the school for monthly reporting. Even though Grace and Mark’s own children are grown and no longer involved with the program, the pair continues to arrive at St. James Church each weekday morning at 7:00 a.m. to prepare a healthy breakfast for the students who need it. They have grown to know and love the 35-40 students who visit the program daily. Their priority is certainly proper nutrition for these students, but they go on to explain that the program offers much more than that. They often interact with students who do not have a reliable adult role model at home, so they have the opportunity to truly impact all areas of the students’ lives. They often have students working on homework and talking about career choices and they do their best to model positive behaviour for the students. While they do not have a lot of rules, respect tops the list and Grace and Mark proudly report that all of the students are respectful of them, the rules and each other. Grace loves the opportunity to make gentle suggestions to try new foods and experiment with healthy food that the students often have not had access to. This program provides a safe space for students, with a positive and caring environment. There is no judgement, so students often feel comfortable opening up and discussing their issues. Grace and Mark often keep in touch with students after graduation and celebrate their success in post-secondary education, as well as their career and life successes. They were especially touched when one of the students supported through his high school years came in one morning for a visit. This young man attended the Food for Thought Breakfast Program regularly when he was a student at GCVI, and grew to know and respect Grace and Mark. He was so impacted by the program that he wanted his wife and children to meet these “angels” who were there for him throughout high school. The reality is Grace and Mark often do not know the reasons that bring students to Food for Thought, but what they do know is they are making a difference in the lives of many of these students. We extend our sincerest thanks to Grace and Mark for over 15 years of volunteer service with the Children’s Foundation Food & Friends Program and all of the support they have provided to the students of the GCVI Food for Thought Breakfast Program. It is no exaggeration to say that Patti Schopp is one of the Children’s Foundation’s most enthusiastic volunteers! For this enthusiasm and dedication, Patti was recognized as our 2015 Volunteer of the Year. Patti doesn’t only coordinate one Food and Friends student nutrition program, she coordinates three at Waverley Drive public school - a breakfast, snack and lunch program. She has also taken a leadership role as a mentor and site supervisor for many University of Guelph students. Patti is a member of the Children’s Foundation Sunshine Squad - a group of volunteers that represent the Children's Foundation at community events. Patti has helped at Ribfest, the Fergus Family Info Fair and many other events. She truly is a ray of sunshine with her big smile and wonderful laugh. Tara Bernard-McCabe was presented with the 2011 Volunteer of Year Award. Tara fulfills the very demanding job of program coordinator for not just one but two student nutrition programs in Shelburne. She has managed these programs with efficiency and creativity, making one of the programs financially self-sustainable with her incredible ability to garner support from the community and businesses in Shelburne. She inspires us with your energy and commitment to the student nutrition programs and the students that attend. Jeanne Forsythe has played a significant part in the phenomenal growth of The Children’s Foundation. In 1976, while she was an employee for Family & Children’s Services, she was involved in the establishment of the Stephen Promoli Memorial Fund. The Fund was started by the Family & Children’s Services Board of Directors to honour the memory of Stephen Promoli who tragically lost his life while on a canoeing trip. The purpose of the Fund was to provide life enrichment opportunities, like summer camp and sports and arts activities to disadvantaged children in Guelph and Wellington County. 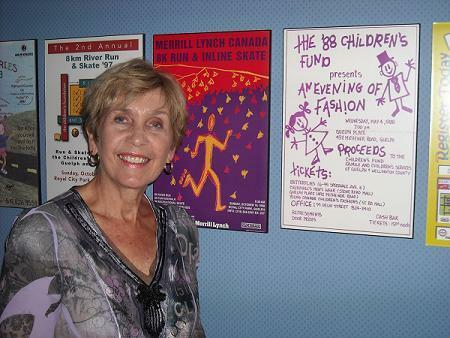 Jeanne has great memories of the early years and being involved with fundraising that included many nights in bingo halls and forming an early partnership with the Guelph Wish Fund for Children event held in March of each year. She also played an important part in engaging both of the school boards into referring disadvantaged children for funding of school and community enrichment programs. In 1991, Jeanne played a role in the transition of the Stephen Promoli Memorial Fund to become part of the newly formed Children’s Foundation of Guelph and Wellington. She continued with similar roles in fundraising and granting funds for children in need. She was actively involved in the establishment in 2001 of the Promoli Family Fund in memory of Fred Promoli, former Executive Director of Family & Children’s Services. The purpose of this fund was to establish a scholarship program for youth in the care of Family & Children’s Services. Once she retired from Family and Children’s Services in 2005, she took on a new role with The Children’s Foundation as a member of the Marketing Committee on which she still sits. She is very excited about her role in celebrating the history of the organization while making progress for the future. She was very pleased with the Guelph Mercury feature that was distributed in June, 2008 in that it was a great way to tie all of the programs and work that The Children’s Foundation does together. A smile comes to her face when she recalls receiving letters from kids that went to camp and how great of an experience it was for them during that summer. However, the greatest reward comes on the occasions when she is approached in public by adults who recognize her, thank her, and let her know that an important part of their childhood was the funding that they received for camp or other activities. To see how these children have grown into fine adults is what makes all of her work worthwhile. Linda Ghent was presented with the award for Volunteer of the Year in 2012. Linda has shown true dedication for the JD Hogarth nutrition program by being the program coordinator for over 6 years. The program at JD Hogarth makes healthy snacks available to its 570 students all five days of the week. To make this happen, Linda spends countless hours a week on every aspect of the program: shopping, fundraising, food prep, and food distribution. We are inspired with her energy and commitment to the program and the students that attend. Congratulations and Thank you to Linda for all that you do! We were honoured to present our Volunteer of the Year award to Joanne McCombie at this year's gala. Adopt-A-Family is an impactful and successful program that would not be possible without the commitment of a dedicated team of volunteers. Each of these volunteers was a critical part of the program being able to assist 750 families in 2012. One of these volunteers is Joanne McCombie who puts in an incredible amount of time on-site and throughout the year. In 2012, Joanne took on the role of volunteer coordinator for the program. She recruited, oriented and scheduled over 30 on-site volunteers in roles from gift wrapping to accounting assistants. Joanne’s attention to detail and commitment to the program is a great asset to Adopt-A-Family. Thank you Joanne for all that you do! Jason Clattenburg makes a living by working at Toyota Manufacturing but that is such a small piece of who he is. Jason has been an incredible volunteer to the Children's Foundation in so many ways. Southern Ontario Amazing Race Director for 7 years (going on 8!) with countless hours going into meetings, planning, constructing, executing, and clean up. It is almost a year round commitment with very little down time. Worked on the Santa Claus Parade float in 2013. Volunteers for the Trees for Tots program every year. Builds the major decor pieces for the Around the World Gala for the past two years, bringing our gala to another level. In just a call, Jason is there with a smile to help us with random things like picking up 120 cases of donated Wellington Brewery beer for our golf tournament! We were thrilled to be able to honour Jason as our Volunteer of the Year at our Gala in October and look forward to every opportunity to work with him in the future. 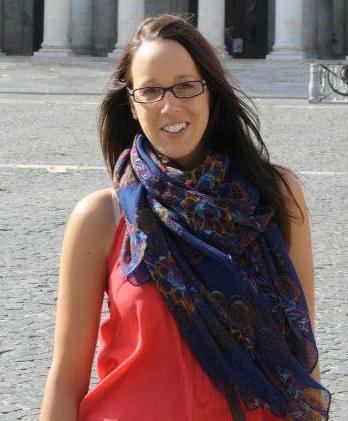 Vikki is relatively new to our team of volunteers here at the Children's Foundation, and what an asset she has become! Vikki volunteers on a weekly basis, coming to the office by bus. We are so impressed with her dedication; no matter what the weather holds, heat or rain, she will be here smiling and ready to go. Vikki sees her volunteer involvement as an excellent way to keep her computer skills current, and her strong administrative skills help our team to keep things running smoothly. Because of volunteers like Vikki, we are able to efficiently and effectively deliver important programming to families in our communities that are most in need of support. Vikki proudly shares that it has been her children that have encouraged her to volunteer, as they have grown up volunteering for various community agencies. Vikki believes that volunteerism enhances a person's well-being and says that “the passion of the Children’s Foundation is infectious” and has benefited her in a very positive way. As a single parent herself, Vikki has an unwavering compassion for the families that are supported by the Children's Foundation; she warmly greets and assists them in our office and her kind gentle ways make them feel comfortable and happy to see a welcoming face. Vikki's openness and warmth is a prime example of the true compassion our volunteers share here at the Children's Foundation of Guelph and Wellington. When Cindy Copeland moved to Guelph over 10 years ago from Toronto, she wanted to get out and meet some new people and get involved in the community. She decided volunteering would be a great way to do so. Cindy found the Children’s Foundation Adopt-A-Family program and has now been with the program for 11 years. “It is just humbling that there are so many families right here in Guelph and Wellington County that simply cannot make Christmas happen for their children,” said Cindy. Her affection and commitment to this cause is contagious and spreads both through the Adopt-A-Family workshop and her personal life. Cindy’s family members and friends get involved in many different ways because of her enthusiasm and her family is very supportive of her volunteerism because they are very proud of what she does. Cindy speaks fondly of one close friend who, along with her sister and 94-year old mother, makes handmade quilts for the program. This friend doesn’t even live in Guelph, and yet she still chooses the Adopt-A-Family program to donate over 40 beautiful handmade quilts, just so the families will feel loved and special over the holiday season. Cindy’s volunteer work is a big commitment and there are things in her personal life that go without in order to make this program happen. In spite of the sacrifice and the challenges over the years Cindy said, “it’s the warm, fuzzy feeling that I get working on the program that keeps me coming back.” She was quick to add that, “ the Adopt-A-Family volunteers are only one piece of the puzzle. There is also the donors, the families and the social workers that are part of the whole.” But Cindy sees the Adopt-A-Family volunteers as “the glue that holds it all together.” Cindy’s reward is seeing the outcome of all the hard work and so many families being supported over the holidays. That is true meaning of Christmas to an Adopt-A-Family volunteer. By volunteering with Adopt-A-Family, Cindy has not only found a meaningful way to give back to her community, she has also developed wonderful friendships and lasting memories. Let us take this opportunity to say thank you to Cindy for all of her efforts over the years. She has made such a huge difference in the lives of so many families. The volunteer team Christmas spirit abounds this year at the site of Adopt-A-Family (AAF) on Huron Street in Guelph. Claire is a volunteer editor and she works in the office ensuring that every detail of the donor and recipient paperwork for AAF is accurate and complete. Claire loves her position and states that "what keeps me here is the people", meaning all the other volunteers as well as the donors and recipients. Her exclamation that "you make friends here and they stay your friends" suggests that Claire has found a place where she belongs helping others in need experience a better Christmas. Claire has 'corralled' a bunch of her friends into helping out with AAF. Some of these friends are from other communities so the help that these volunteers contribute is from a far. Linda has been a volunteer for six years with AAF and found out about the program through a friend when she first moved to Guelph. She loves Christmas and this is her way of giving back to the community. Linda shared the fact that AAF started with 1 volunteer about 25+ years ago and now recruits over 40 volunteers in order to be able to fill all of the needs of the program. Among the volunteers are Linda's husband and some of her friends. Linda explains that many of the needs that recipients ask for aren't what you'd expect at Christmas time, as requests such as food and sanitary products far outweigh asking for a 'treat' gift. Linda loves volunteering as the rewards of helping families in need is enormous and she is overwhelmed with the "thank you notes" the program receives from the family recipients. As a mother and a grandmother, Linda says that her volunteer work generates respect from her entire family. Linda's gift to her family this year is adopting a family on their behalf the gift that keeps on giving. Pat has been volunteering for three years, doing filing and other administrative support tasks. The Women in Crisis referrals are special to Pat; sometimes the Christmas wishes might be as simple as a Christmas tree. When asked what she likes about volunteering for AAF, Pat responded that the volunteer team has good leadership, you get to know the people, build relationships, and for a lot of the retired people, this has taken the place of the working relationships they once had. Joanne is retired, and has been a volunteer and donor for five years. She was looking for some way to give back to the community in a way that is exemplified by the philosophy of AAF. Joanne can see the impact of the Christmas spirit in every aspect of AAF including the volunteer team, donors and recipients. She is so happy to help everyone experience the joy of Christmas, supported by the look of happiness "that you can see on everyone's faces". Joanne is spurred on by the other volunteers as their excitement is 'contagious'. Joanne credits much of the success of AAF to how much the donors love giving to the program as that's 'key'. Some of the donors are friends of Joanne's from the Toronto and Brampton area as she has spread the word far and wide. She noted that there are also donors who were former recipients of the program who are now in a financial position to 'pay it forward'. Joanne says it's all about the engagement, we feed off each other as volunteers. We all just want to be part of the excitement. What makes this program unique is that the volunteers help with the organization of the program therefore they really get to feel a sense of ownership. Right from the beginning they take the time to work through the whole process with you, volunteers even help with the interviewing and training of new volunteers. Joanne recalls that for years the program was run solely by volunteers, and it has only been in the past few years that there has been a dedicated staff person involved full-time. Cindy is a volunteer that has been with the program for 11 years. When she moved from Toronto to Guelph she was interested in meeting new people. She saw an Adopt-A-Family volunteer ad and responded to the call for help, as she too was looking for a meaningful way of being involved in the community. Cindy speaks of the warm fuzzy feeling and the reward of seeing the outcome of her and the team's hard work. Cindy has adult kids who are proud of what she does, which includes sewing of fabric gift bags, shopping year round for Adopt-A-Family, and donating space in her home to store all the items and cloth bags prior to moving into the temporary AAF home every year. As a whole, the volunteers talk about the wonderful leadership they have benefited from, and the teamwork that happens when things get busy. One of the greatest wishes of the Adopt-A-Family team is that they may one day find a permanent home. As the need grows and the workload increases, the volunteers tire after a busy season. Setting up and tearing down would be one less job to do at the end of an already busy season if they have their own home. They are collectively so proud that the program has grown, from helping just a small number of families when it first began to now helping over 1,100 families, and they are all so humbled by the fact that there are so many families who just can't make Christmas happen. Many of the volunteers speak of a wonderful Christmas they have had the privilege of enjoying with their families and they want similar experiences for all children. Truth be told, the Adopt-A-Family volunteer team is one that has been years in the making. In a recent interview with some of the volunteers who have served the longest they tell a story of friendship, inspiration and community. They describe the program as a Win-Win-Win-Win. The donors win by contributing to something so special; the social workers win by being able to ensure families they are working with get the help they need at Christmas (not to mention getting to deliver the presents, just like a real-life Santa Claus! ); and the families win by receiving not only the generous gifts from their 'adoptive' donors but also by receiving the gift of hope. And finally, the volunteers win, knowing they are the glue that holds it all together and that through their tireless efforts as Adopt-A-Family elves, so many children will be helped. It's a wonderful Christmas for everyone involved. Michael Douglas started volunteering for the Children's Foundation in 2015, in the years he has been involved in the organization he has become instrumental in the planning and organization of Trees for Tots. Michael has taken this event on in a profound and very personal way. It is with certainty that we can say this event would not be what it is without his dedication and outstanding support. His motivation for becoming a Tree for Tots (T4T) volunteer is both unique and very personal. As he touchingly tells his tale, "One very blustery winter day in November 2014, I was clearing the snow for an elderly neighbour, when I was approached by a lady who had been waiting in the vicinity for a taxi to take her home across town. The taxi was hours late as a result of the inclement weather, so I gave her a ride home and in the process learned that she was somehow related to a young man named Terry Jay who had tragically lost his life a few months earlier, helping someone in distress on the road. I was very taken by her stories about Terry. He was obviously a very kind person and he had been instrumental in establishing the inaugural Trees for Tot’s fundraising event with the CFGW. I was so moved by her story and Terry’s dream of helping children that after returning home I went online to learn more about Terry and the Children’s Foundation of Guelph and Wellington. The next day, I contacted the CFGW and asked to be registered as a volunteer with just a small introductory role in the upcoming 2015 Trees for Tots event." Michael first volunteered with Trees for Tots in 2015 as a driver's helper, picking up trees at the curb and administering the related route paperwork. As he began to volunteer at other CFGW events such as the Fore Our Kids Golf Tournament, Brush Off, Rotary Club Ribfest, and the Around the World Gala, he felt compelled to assume a much larger volunteer role in 2016 Trees for Tots 2016. Michael got involved at each and every level of the event planning process in order to learn as much as he could about developing the entire event from the ground up. "Jumping in with both feet" he assumed an even broader volunteer role with the leadership team for Trees for Tots 2017. Michael's astonishing contribution as T4T event team volunteer in 2017 started in September of the previous year with countless volunteer hours arranging everything from identifying sites and getting permission for mobile signage to promote T4T, to publicity, marketing and public awareness, to reaching an agreement with the Ignatius Jesuit Centre to receive the entire volume of mulch generated by the event for use on their extensive network of nature trails and other property environs. Michael sums up what he gets out of volunteering with a nationally recognized, successful charity like the Children’s Foundation when he says "it allows one to put their knowledge and skills to productive use and instantly see the tangible results of their efforts mirrored in the faces of so many children". As Michael shares what he gets out of volunteering, it seems only appropriate to share the benefit to the organization he serves.Volunteering is at the very core of a human being, no one has made it through life without help from someone. Michael is the volunteer who has decided he wants to make a difference, he doesn’t volunteer because it's easy, he volunteers because it's worth it. Volunteers like Michael, make what we do possible, the Children's Foundation family of staff, volunteers, donors and community supporters join hands and together work to ensure that every child in our community will have a brighter future. We will continue to work together until we meet the needs of every child in our community. Thanks so much Michael for all of your hard work and dedication in enriching the lives of so many children and their families through the many ways you support the Children's Foundation! Group volunteering can include working alongside friends, neighbours, colleagues or your sports team. What differentiates group volunteering from individual volunteering is the teamwork necessary for its success. Group volunteering involves working together towards a common goal of making change in the community. When groups come together to serve their community it makes a huge impact, as groups can accomplish projects quickly and achieve more than individuals alone. Volunteering may also impact how group members see each other and how the community views the group. 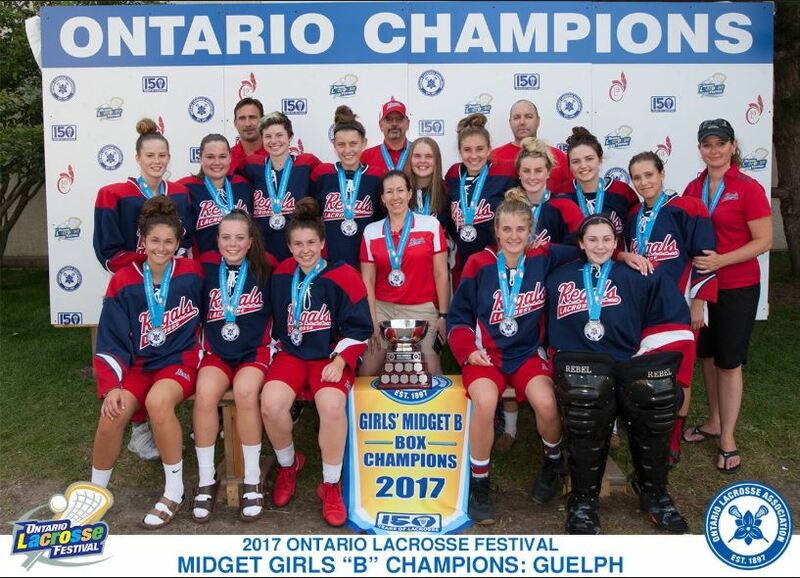 The Guelph Regals Girls Lacrosse team knows that being able to work together as a team is one of the biggest assets that any group has. Volunteering as a team takes teamwork to a whole new level. The Regals girl’s decided to volunteer for the Children’s Foundation because they believe all kids should have an opportunity to participate and belong to a team. The girls have taken part in a number of events, including Canada Day at Riverside Park and Ribfest. Another Guelph Regals lacrosse team had great success with their fundraising and donated some extra funds to the Children’s Foundation’s Free to Play program so other kids can play lacrosse. These teams are passionate about their sport and they know that as a team they can make a difference in their community, and not just on the lacrosse field. Team volunteering has many benefits. Not only are you developing as a person, you are helping your team grow as a unit. Team volunteering empowers members of your group, and you may work together in ways that your team members may never have expected. Sure, you may work together on the field, but has your team ever worked together cooking food to serve at a Student Nutrition Program, or wrapping donated gifts for families who may not otherwise have gifts at Christmas. 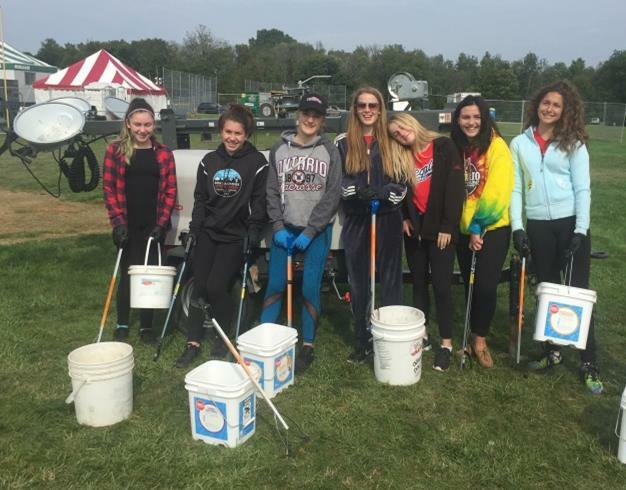 The Guelph Regals Girls pulled together as a team, building their skills and providing much-needed support in their community. They grew as individuals, in their game, in their friendships and on the field. Their commitment and passion paid off leading them to a Provincial Championship in 2017. Way to go Guelph Regals! Would you like to get your sports team, corporate team, neighbourhood or friends together as a team and make a difference in your community? Group volunteering can occur as a short-term or one-time event, such as helping out at events like Canada Day at Riverside Park or Ribfest. This is an excellent opportunity to support group bonding and give your group a new and memorable experience. For groups that prefer an ongoing commitment, there are ongoing fundraising initiatives and many more opportunities available. You can help your group foster a deeper commitment to each other, and to your community. Around the holidays, when most university students are gearing up for final exams, Luke Berzins generously donates his spare time and energy to helping our Trees for Tots committee. His efforts have made a big difference to the initiative and he says the work comes with its own rewards. On that cold January day, over 200 volunteers come from all over the city to join in one cause, one goal, making life a little better for the kids in this community. The volunteers are of different backgrounds and ages, however, they share in the same accomplishment when you see a project such as Trees for Tots from start to finish. Luke has made a big impression on the Children’s Foundation team right from the start. “I first met Luke in 2017 when he inquired about volunteering with Trees for Tots”, says Outreach Coordinator Brenda Walsh. “I was immediately impressed with his work ethic and level of commitment, especially for a busy University Student. In the depths of his Economic and Political Science studies at the U of G, I asked him to join our Trees for Tots Outreach Committee and he was quick to raise his hand and say ‘I will’. He has brought great value to our little working committee." The Trees for Tots Committee meets and brainstorms ways to reach more of Guelph’s residents who purchase live Christmas trees. Currently we know that there are about 8,000 live trees purchased in the City of Guelph and last year we collected around 3,300. Luke, along with his committee, researched the locations, retailers and neighbourhoods where people buy and decorate live trees for the season. They then try to reach as many of these homes as possible. Luke leads a group of volunteers who tirelessly comb the city hanging our Tree Tags on trees for sale at various retail locations. As he speaks to business owners and store managers, he also knows he is increasing public awareness about the programs offered by The Children's Foundation. Luke feels especially connected to the Free to Grow program. “Playing sports cultivates self-esteem and helps kids build bonds that can last a life time,” he says. It’s no wonder Luke is such a committed hand raiser!